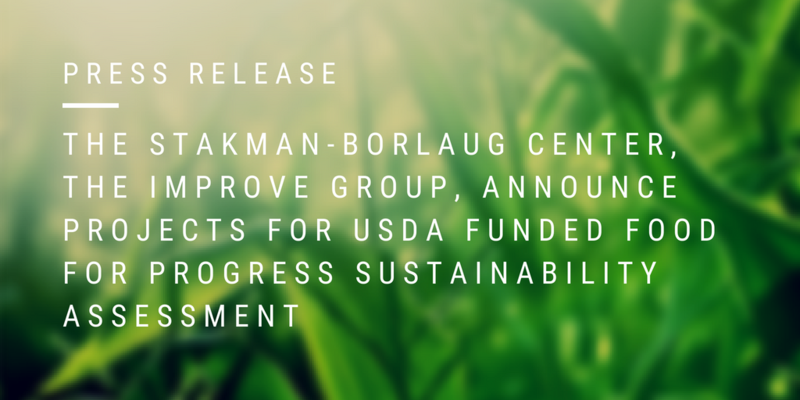 Working in collaboration with the United States Department of Agriculture's Foreign Agricultural Service (USDA/FAS) and The Improve Group, the University of Minnesota's Stakman-Borlaug Center (SBC) has identified the three closed Food for Progress agriculture assistance projects for sustainability assessment. The SBC along with our evaluation partners at The Improve Group will explore the following questions related to these three projects. What existing conditions are needed for sustainability? What factors of the project’s design lead to sustainability? What factors about the implementation lead to sustainability? To what extent have project activities or (knowledge, attitude, behaviour) continued? To what extent have project impacts (positive or negative) continued? This project focused on increasing agricultural knowledge and improving livelihoods of agricultural producers in rural communities in Guatemala. Counterpart International sought to achieve this by improving the capacity Guatemalan Ministry of Agriculture's formal extension agents and certified non-governmental agricultural advisers, expanding the financial services available to agricultural producers, and increasing the organizational capacity of local cooperatives representing smallholder producers. This project led by World Vision International focused on training farmers and farmer leaders in “Integrated Farming and Sustainable Agriculture” technology. This included improving soil fertility, integrated pest management, and improving animal husbandry and aquaculture practices. Objectives of this project included improving production and marketing capacity, and business development skills for farmers. The Growing Resources for the Enhanced Agricultural Enterprises and Nutrition (GREEN) project, led by Partners for Development worked with Beninese farmers’ associations to train vegetable growers in improved production techniques and postharvest management, and provided access to financial services while improving understanding of market-driven production. The SBC and The Improve Group will be working with the above implementing partners and USDA/FAS to refine our evaluation plans and questions. The SBC will also work closely with its University of Minnesota affiliations to identify faculty, staff, and student experts in these areas who can provide technical insights and guidance to the evaluators, as well as participate in field visits and data collection.